Patients looking for dental implants in Scottsdale, AZ can visit Dr. Michael Bleeker for dental restorations. Dr. Bleeker is committed to offering compassionate dental care when patients need it most. Implants are a great way to replace a single tooth or restore all missing teeth. These prosthesis allow patients’ new teeth to look and feel like their own. 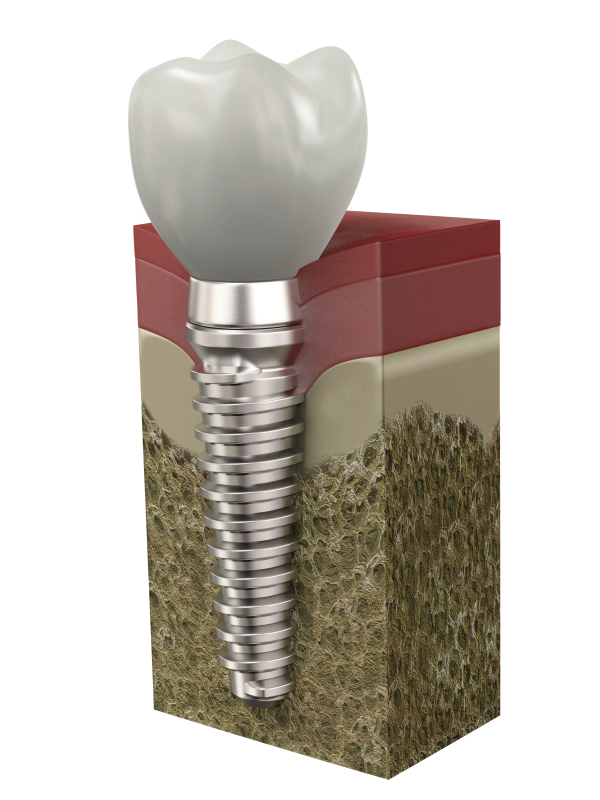 Implants are surgically placed into the bone at treatment sites, replacing the lost natural tooth root. New teeth, whether crowns or dentures, are then attached to embedded implant posts. As they integrate with surrounding tissue, implants prevent the bone resorption associated with tooth loss. Dental implants are popularly used to stabilize dentures. Many denture users turn to dental implants when they find themselves growing tired of the discomfort caused by conventional dentures, including poor retention and instability. Once your dentures are stabilized with dental implants, denture adhesives are no longer required. Michael Bleeker, DMD provides a wide spectrum of dental implant services as a way to stabilize dentures quickly and effectively, including the popular All-on-Four® concept, immediate load dentures, and delayed load denture techniques. Once the dental implant is placed and integrated with the jaw bone, the denture can be secured, completing the dental implant process. With dental implant services in Scottsdale at Dr. Bleeker's office, patients enjoy renewed confidence and longer worry about dentures falling, moving, or slipping out. Dr. Bleeker and staff have seen a great improvement in their patients’ day-to-day lives when they turn to dental implants as a means of securing dentures and replacing whole missing teeth. Implant-supported teeth increase chewing efficiency significantly and improve the types and quality of foods patients can enjoy as parts of their diets. If you are in the greater Phoenix area and want to learn more about getting dental implants in Scottsdale, AZ, the cost of dental implants, or All-On-4® denture options, contact us or make an appointment today by calling 480-306-8510.